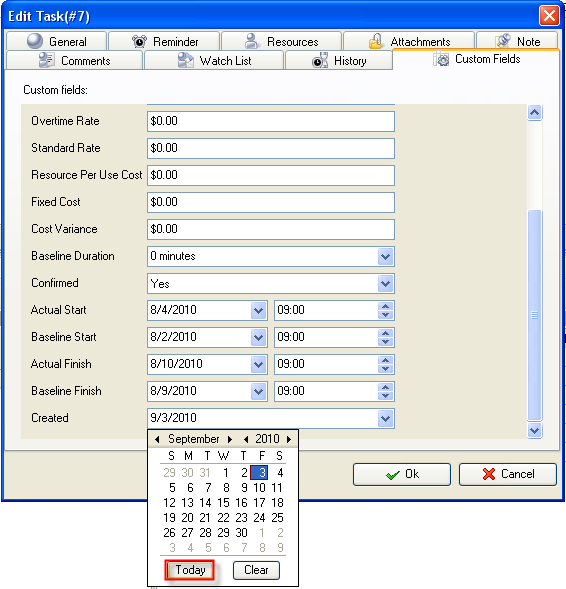 Created custom field shows date and time when the task was actually added to the database of VIP Task Manager Professional. 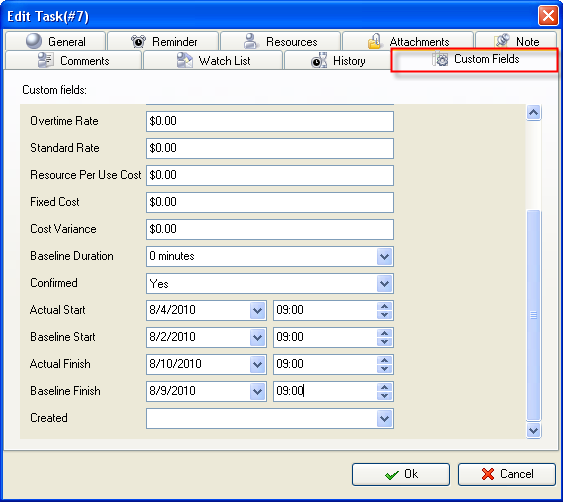 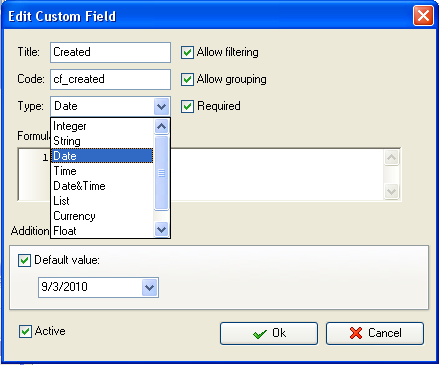 You can use Created custom filed if you need to edit tasks added at a given time or time span, for example, after July. 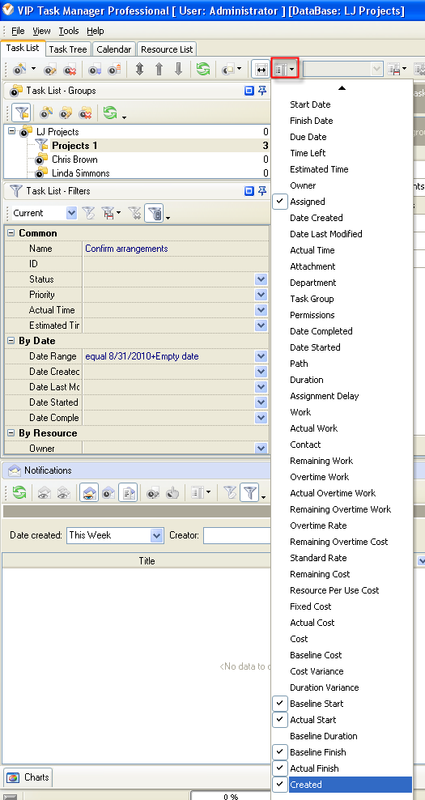 If you filter tasks by custom field "Created", you will see all tasks that need to be edited. 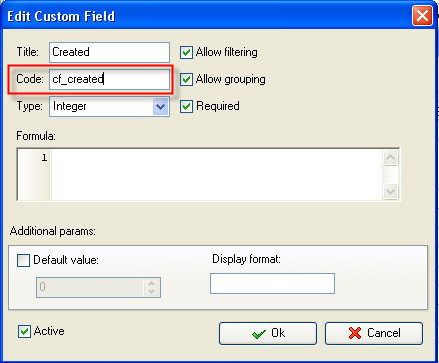 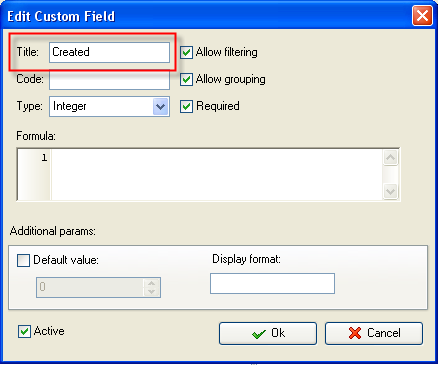 2. in "Title" field enter "Created"
3. in "Code" field enter "cf_created"
5. to display the value of custom field Created on Task List or Task Tree please go to Task List or Task Tree, click Task List Columns or Task Tree Columns button and check the custom field "Created"